In case you didn’t know, Ron Fowler made most of his money as a beer distributor. He is currently the CEO of Liquid Investments Incorporated, a beer distributor in California. It’s assumed he probably has a very large stake in the ownership of the company as well – a company with yearly revenues in the “hundreds of millions” range. Luckily, Liquid Investments doesn’t distribute every beer you can think of. If you wanted to further keep your money out of Uncle Ronnie’s pockets, you could avoid purchasing the beers (and other liquids) that Liquid Investments distributes. 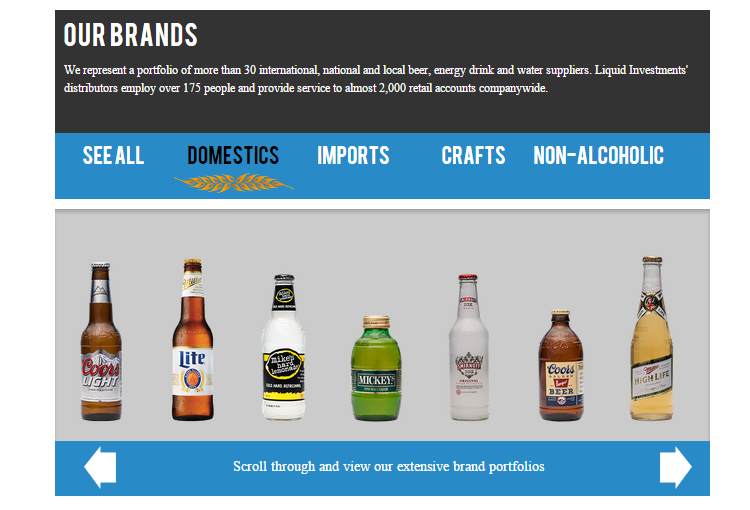 Brands carried by Liquid Investments Inc.
That’s a long list above of beers to avoid, but there are many, many beers available in San Diego that aren’t on that list. Namely, anything that’s under the Bud family is not distributed by Liquid Investments. If you’re looking for a cheap beer to play beer pong with, buy Bud Light, not Coors Light. Besides, Bud Light even has that pretty Chargers logo on it anyway! Most craft beers aren’t distributed by Liquid Investments, either. Make your way to that local brew section, avoid Sculpin, anything by Green Flash, Lagunitas, Karl Strauss, … ugh, this list is getting long. I don’t see Coronado Brewing Company listed, so that’s nice. Stone’s not on the list either, so there’s that. Or you could just stick to hard alcohol. Whatever. But if you want to avoid putting money in Fowler’s pocket, now you know how.